Apple's forthcoming iPhone 5 is likely to be a world phone, meaning that it'll be a single build for both GSM and CDMA mobile standards. The long-rumoured revelation comes from an anonymous app developer who showed app logs to the TechCrunch website. The logs show a single, new Apple device that is being used by a small number of users to test apps. The device, which displays two mobile network codes (one CDMA, one GSM), is almost certainly the iPhone 5. In the UK and Europe, GSM is the dominant mobile standard, but in the United States, the split is almost even between GSM (AT&T, T-Mobile) and CDMA (Verizon, Sprint). If the new iPhone 5 turns out to be a one-size-fits-all device, it'll be a big help UK iPhone users who travel to the US and other CDMA-heavy countries and wish to switch to the other standard. Likewise a dual-mode handset would allow American visitors to Europe to effortlessly transition into their new settings without switching handsets. 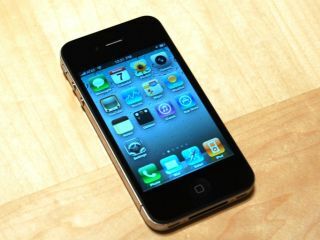 The newest, CDMA version of the iPhone 4, built exclusively for the Verizon network in the United States, already boasts this global functionality although it isn't something that can be accessed by users. Of course, a dual-mode phone, distinguished through iOS 5, would save Apple the hassle of creating two devices. According to TechCrunch, the one caveat would be that this news would rule probably out a 4G iPhone, not that that's any concern of users this side of the pond.